I am a PR pro, marketer and fundraiser. I enjoy writing about food, wine, and craft beer. I'm a social media junkie who is always looking for the next great app. Follow me on twitter. Getting ready for Arts, Beats and Eats? One thing you can count on, there will be plenty of good food. I enjoyed an appetizer of the “eats” portion of the festival last week at Arts du Jour. 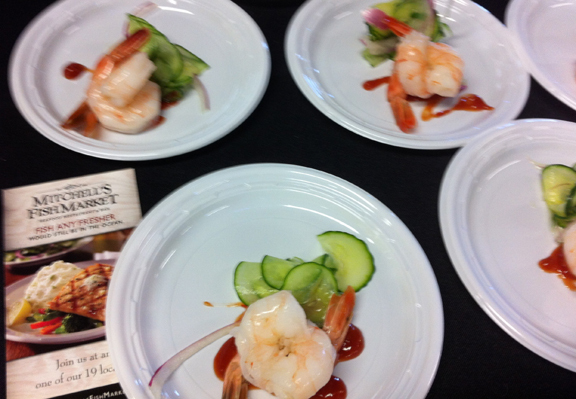 Fifty of metro Detroit’s finest restaurants, sweet shops and more provided samples for all who attended. There were several standouts. 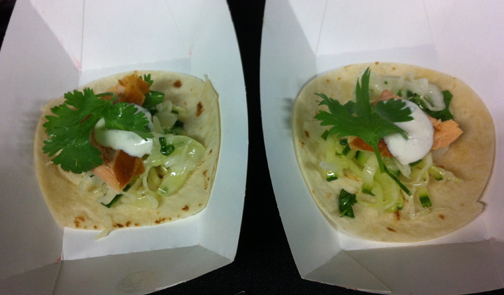 The soon-to-be-open Hamlin’s Corner dished up some fine salmon filet soft tacos. 2 Unique Caterers presented an heirloom tomato cobbler that was filled with fresh flavors, and Mitchell’s Fish Market presented a simple plate of boiled shrimp with cocktail sauce. One of my favorite sections was the area under the tent featuring Streetside Seafood –oysters on the half shell, and Town Tavern with their dreamy lobster mac and cheese. I may have gone back for another sample. 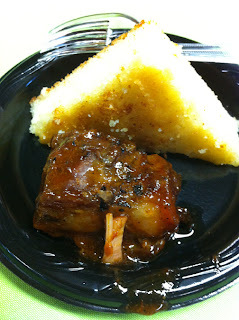 Just a bit down the table, Café Muse served up some delicious slow cooked beef. 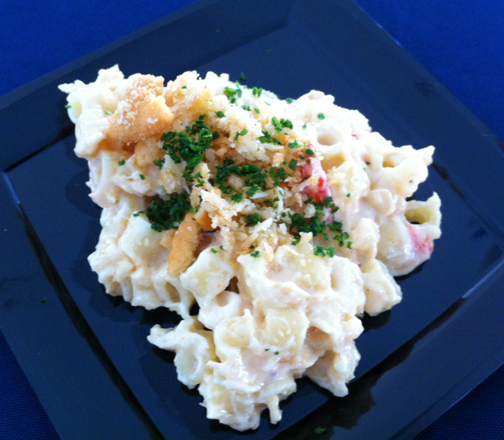 Holly Hotel prepared a tasty lobster chowder chock full of lobster meat and sausage. Crispelli’s was under the tent, serving up a prosciutto carpaccio salad with arugula, white beans, and some thinly shaved Romano cheese. One of my favorite guilty pleasures of the night was the sweet potato tots at Rosie O’Grady’s – served up in paper cones with several sauces available for dipping. Southfield’s Beans and Cornbread offered rib tips and signature cornbread, while Slab-N-Slice served up ribs that were just plain delicious. BlackFinn’s bacon wrapped meatloaf was a pleasant surprise. Following along the comfort food theme, Polish Village Café offered a duo of their delicious pierogies—with an eye on saving room for other things, I stuck with one potato pierogi and it was divine. There was plenty of Mexican style offerings, notably Armando’s and Zumba, and a couple noodle dishes including several choices from Noodles & Co. I stayed away from dessert—was basically too full, but you can count on the Cookie Cool Cookie Company, Hudsonville Ice Cream, Just Baked and Schakolad at Arts Beats & Eats this year. Nine nonprofit organizations are slated to receive 75 percent of the proceeds from Arts du Jour. and event attendees were able to choose which of those organizations their ticket benefits. The recipient organizations are Forgotten Harvest, Gleaners, Arthritis Foundation, South Oakland Shelter, Boys & Girls Club of South Oakland County, The Rainbow Connection, Rose Hill Center, Michigan Pet Fund Alliance and Planned Parenthood Mid and South Michigan. The 15th annual Ford Arts, Beats & Eats, Oakland County's Taste, Music & Arts Festival, will be held over Labor Day weekend in downtown Royal Oak, August 31 – September 3, 2012. Follow the fun on twitter and Facebook too. Dave is a writer, marketer, and seasoned foodie with a taste for all types of cuisine--most recently exploring a Vegan diet. After toiling for several years in the restaurant industry (cooking, waiting tables, bartending, eating) and considering a career as a professional chef, David switched gears to attend Wayne State University and receive a degree in journalism and public relations. As a marketing professional in the non-profit industry, David has experience in Public Relations, Social Media, Grant Writing and Donor Development. But let’s get back to food. When not at his day job, David explores the Detroit area’s best (and sometimes not so best) spots for food, drink and value. He’s part of Yelp’s Elite Squad, and regularly tweets about food, wine and craft beer. You can find him on twitter at @dave_moss.